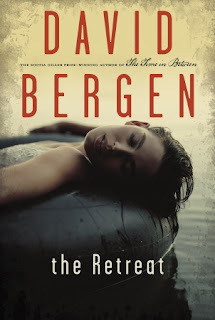 Awarding winning Canadian author David Bergen is scheduled to read at the Spring Garden Road branch of the Halifax Public Libraries on Tuesday May 26th, 7:00 p.m.
David will be reading from his latest novel, The Retreat, which has just won the McNally Robinson Book of the Year award. "...a finely nuanced, deeply felt novel that tells the story of the complicated love between a white girl and a native boy, and of a family on the verge of splintering forever. It is also a story of the bond between two brothers who were separated in childhood, and whose lives and fates intertwine ten years later. A brilliant portrait of a time and a place, The Retreat confirms Bergen’s reputation as one of the country’s most gifted and compelling writers." Please drop by and enjoy one of Canada's top writers as he shares his craft and insights. Special thanks to Canada Council for the Arts for generously supporting this event.